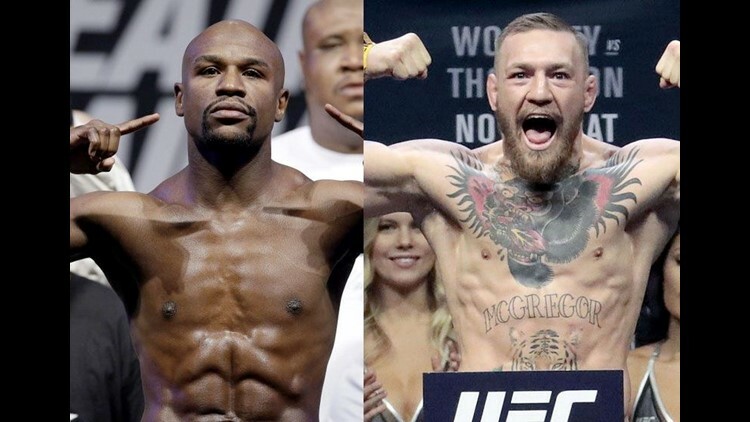 LAS VEGAS (AP) — Floyd Mayweather Jr. and UFC star Conor McGregor will meet Aug. 26 in a boxing match that will feature two of the top-selling fighters in the world. The two fighters both announced the fight Wednesday, after months of speculation about whether Mayweather would come out of retirement at the age of 40 to face a mixed martial arts fighter who has never had a pro boxing match. Oddsmakers immediately made Mayweather a big 11-1 favorite in a fight that will take place in a boxing ring and be governed by boxing rules. “It’s official,” Mayweather said on Instagram next to a video poster of both fighters. Mayweather, who retired in September 2015 after winning all 49 of his pro fights, will face the Irish UFC superstar at the MGM Grand arena. He had tweeted a picture of himself sparring in recent days to show he was already getting ready for the bout. Espinoza said the fight came together quickly after McGregor and the UFC reached agreement last month on their end of the deal and Mayweather’s team pushed for the fight in recent days. Mayweather will fight at the relatively advanced age of 41 in a bout that McGregor has been pushing for months. It finally came together and Nevada boxing officials on Wednesday approved the date for a Mayweather Promotions bout. Though oddsmakers make Mayweather a big favorite, the thought of the fight has excited many in the MMA world. It has also intrigued some in boxing, though most dismiss McGregor’s chances under boxing rules against one of the greatest defensive fighters in history. “As with every Mayweather and McGregor fight part of the appeal is the spectacle and outsize personalities who are participating in it,” Espinoza said. The pay-per-view revenue for the event would likely gross tens of millions of dollars. It comes less than a month before Gennady Golovkin and Canelo Alvarez meet in a highly anticipated fight Sept. 16 that could rival it for pay-per-view buys.